Local councillors are being asked to support the principle of new joint ventures between councils in the West of England, in a bid to boost housing delivery across the region. 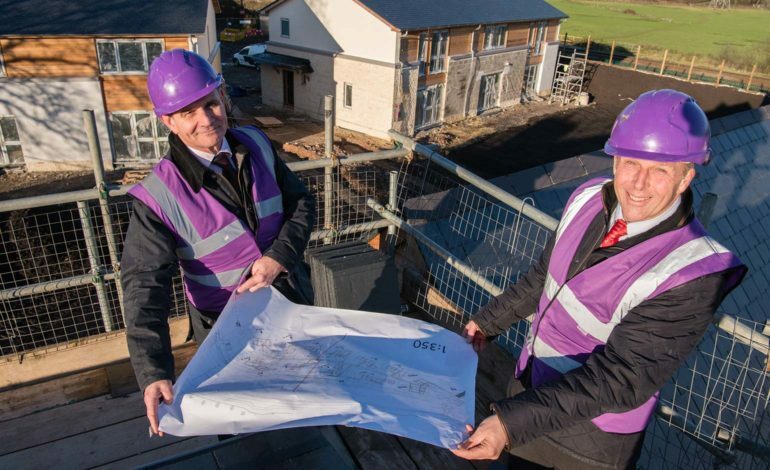 Bath & North East Somerset Council, using its company Aequus Developments Ltd (ADL), is suggesting a joint venture partnership with neighbouring authorities to help fast-track, develop and deliver much-needed housing. It would also mean ADL could provide its services for other public sector organisations, like the NHS. A report before the full council, when it meets on Thursday, 13th September, says a number of neighbouring councils, Mendip District Council, North Somerset Council and South Gloucestershire Council, are interested in establishing a joint venture with Bath & North East Somerset. It says neighbouring councils can provide both land and funding to a housing joint venture partnership and want the immediate capacity and expertise to deliver the schemes through Bath & North East Somerset Council’s already-established housing and development company (ADL). The report says each of the potential partner councils have considered alternative arrangements, including setting up their own housing and development companies, which could still be progressed for some sites by each of them, however the benefits of moving forward quickly to deliver, means a joint venture with Bath & North East Somerset Council presents a good opportunity for them. Councillor Tim Warren, council leader, said: “Two years ago we set up Aequus Developments Ltd and already it is delivering 95 homes at Riverside View in Keynsham which will not only help regenerate that part of the town but also provide significant revenue for the council. “Other councils are keen to do the same and through a joint venture they can use our experience and systems which are already in place in order to fast-track developments on their land. Aequus is a housing development company owned solely by Bath & North East Somerset Council (B&NES) to deliver private sector housing developments and the type of housing that is needed in Bath and North East Somerset. It works with the council’s housing team to develop the right mix for the housing need in the area to deliver policy-compliant levels of affordable housing on all Bath and North East Somerset sites and not just comply but seek to exceed the energy efficiency and sustainability levels set by the planning authority. As well as the Riverside development in Keynsham, a number of other sites are already in the pipeline and will be brought forward in the near future.